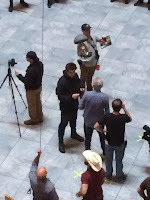 It looks like Liam Hemsworth and Francis Lawrence are on set today and tomorrow, shooting the Capitol rescue scenes. 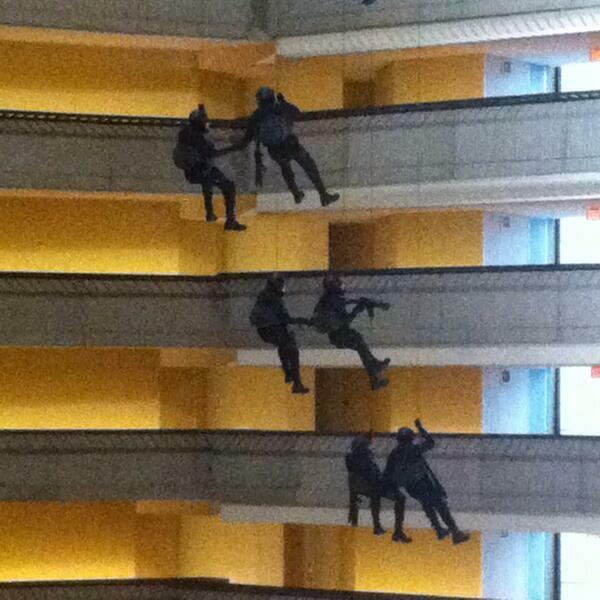 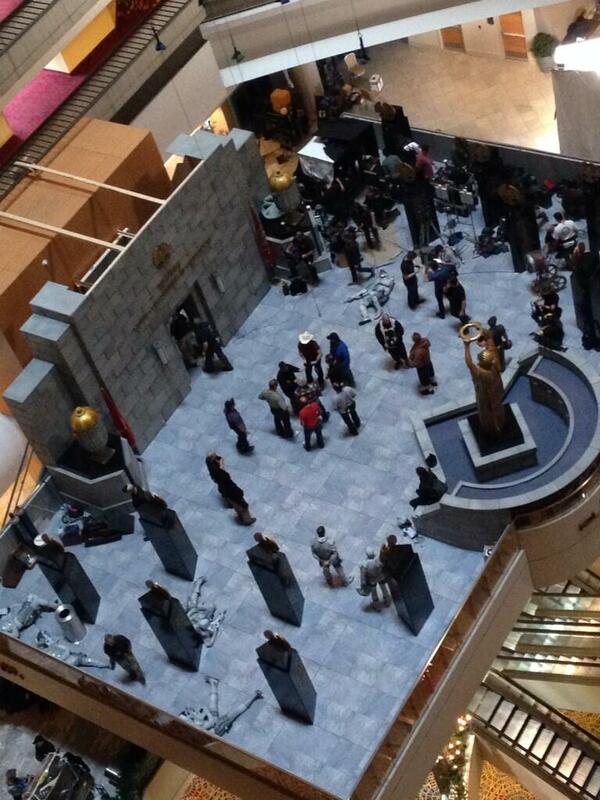 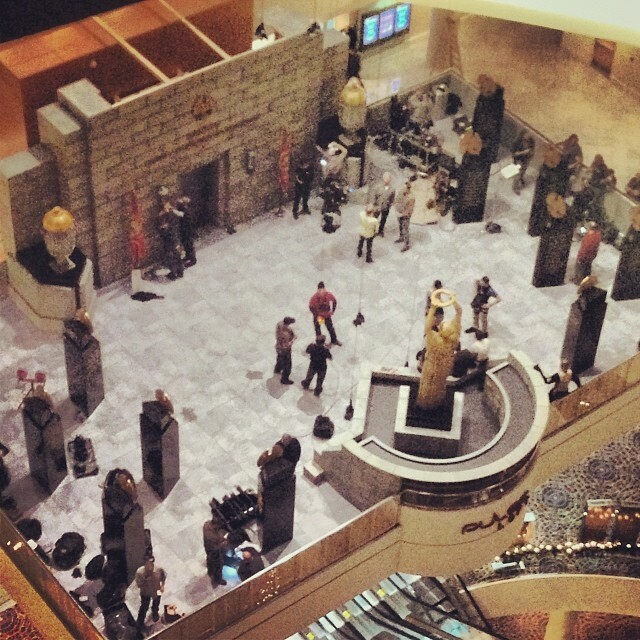 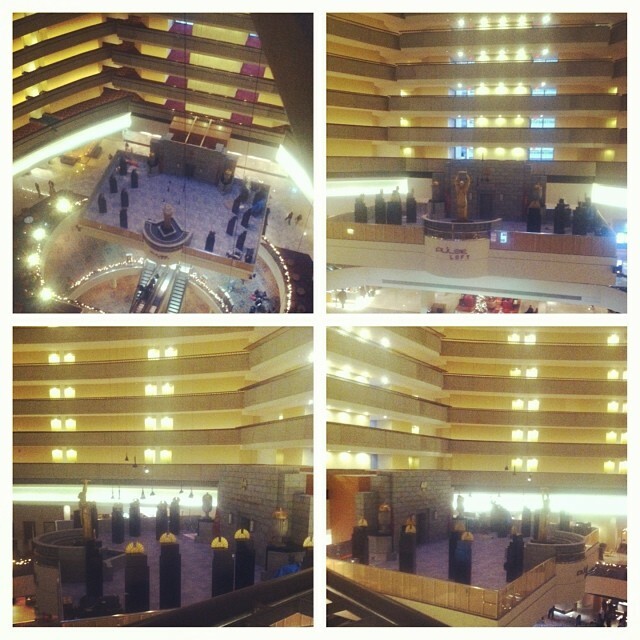 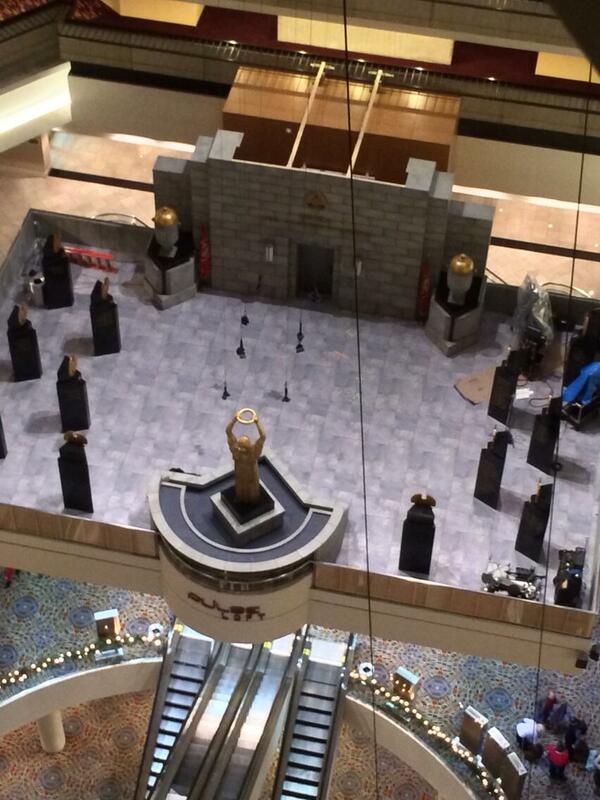 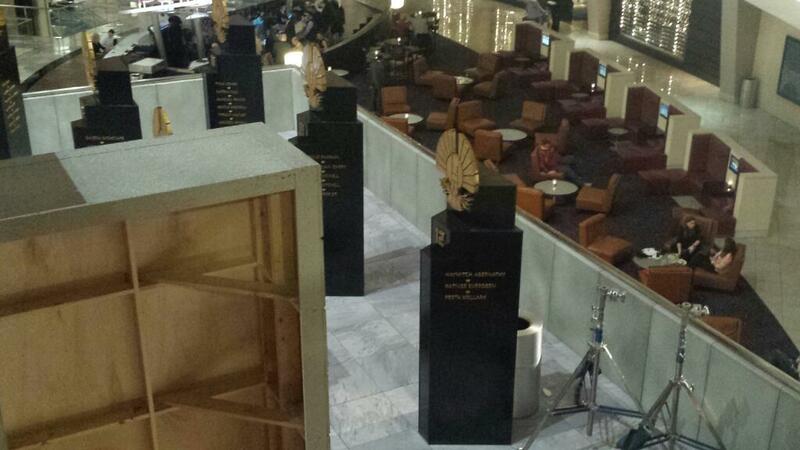 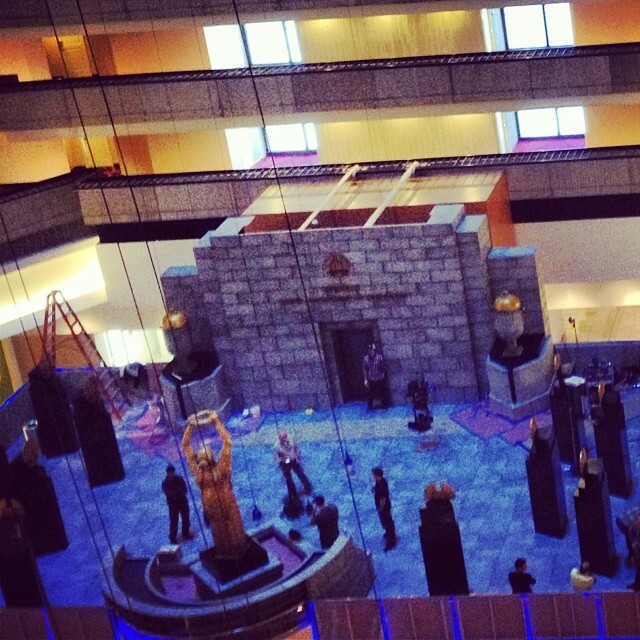 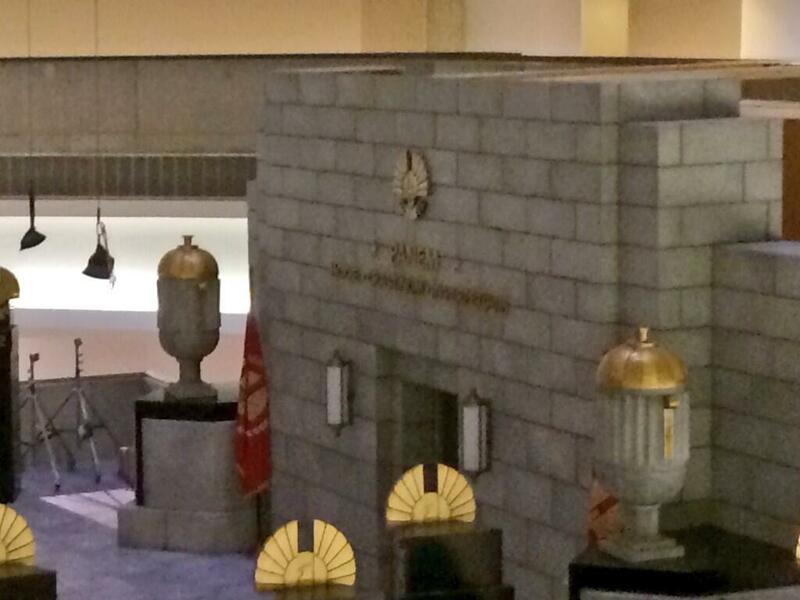 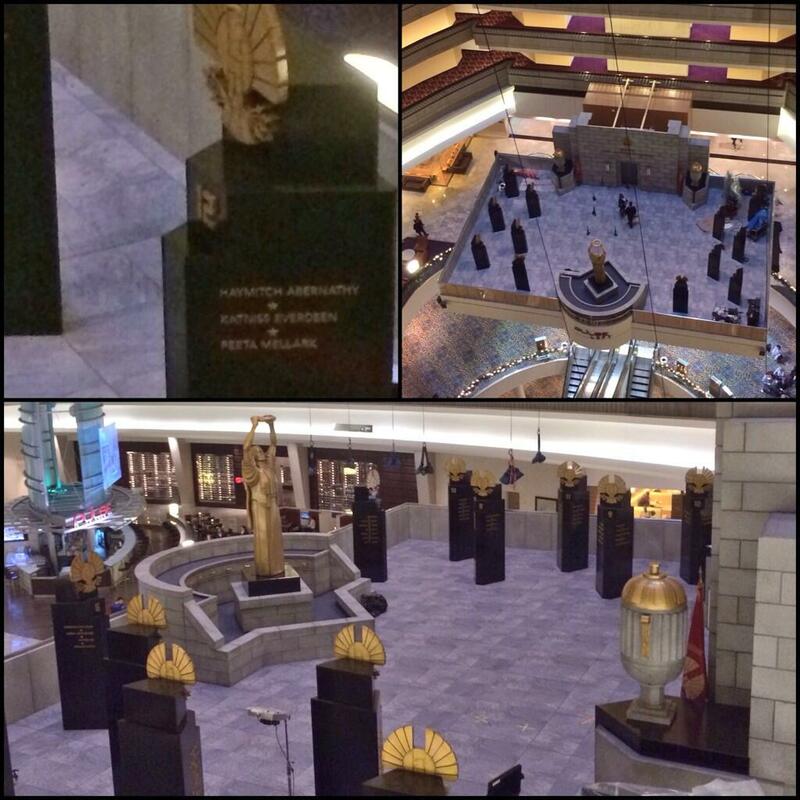 Production on the Mockingjay films is happening in Atlanta right now. 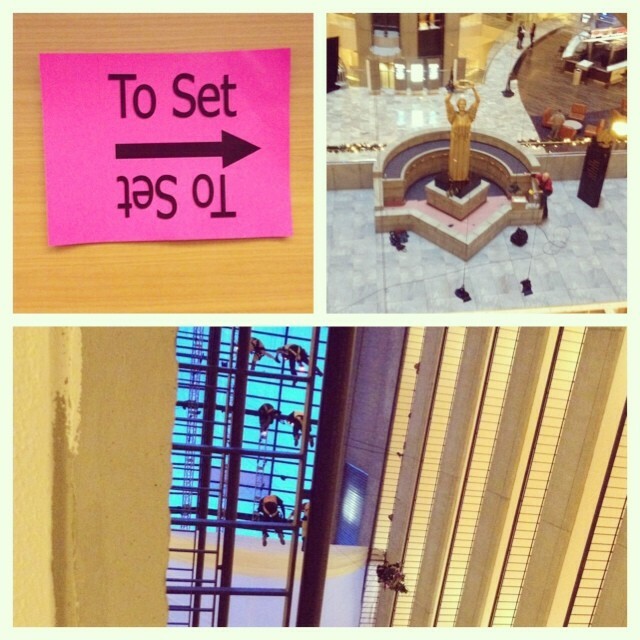 After taking a short break to promote the release of Catching Fire, the cast and crew have resumed filming. 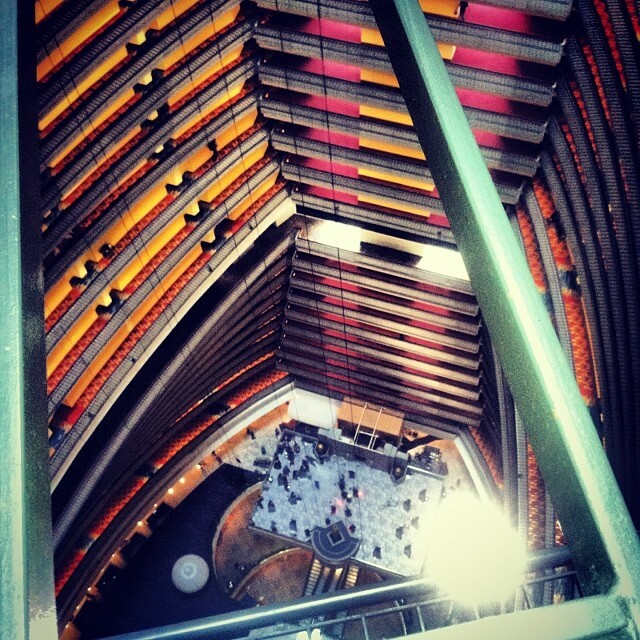 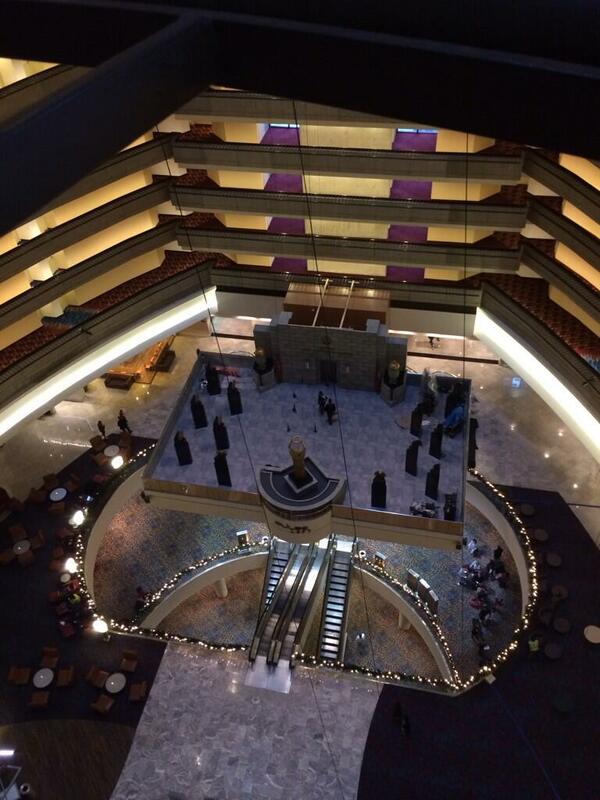 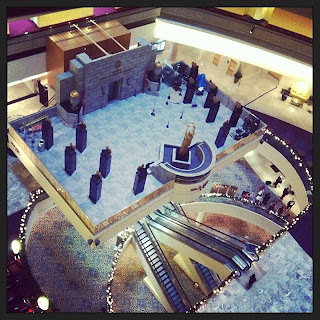 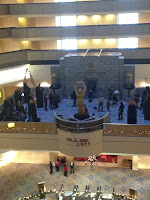 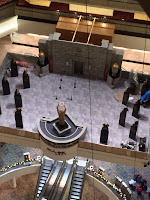 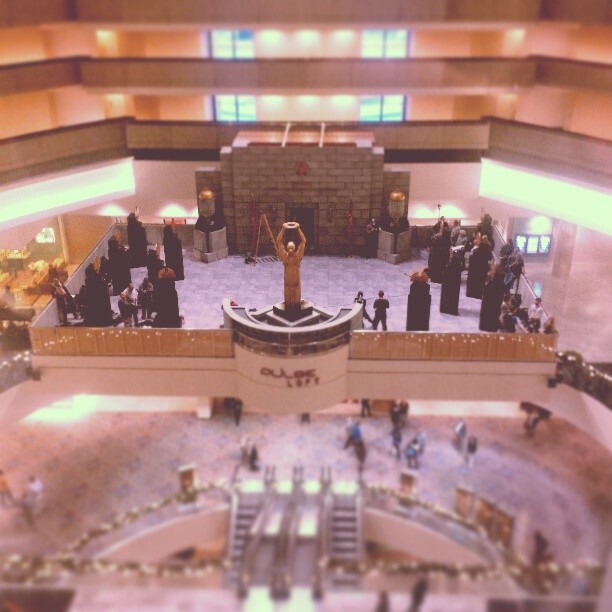 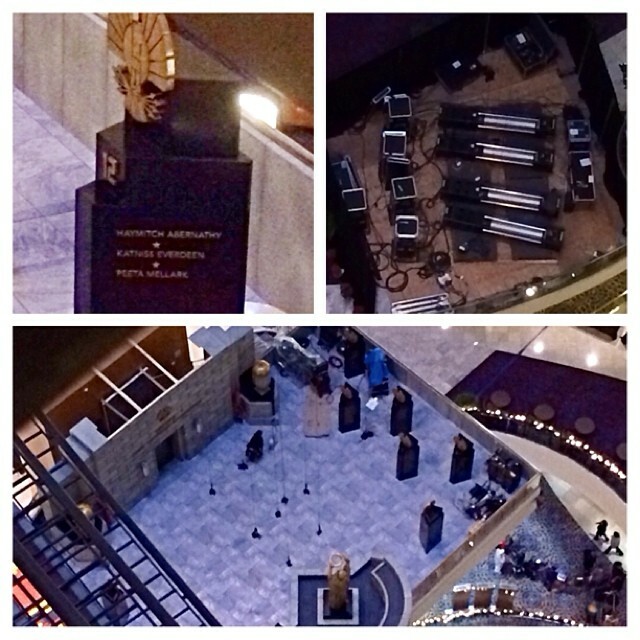 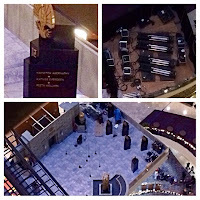 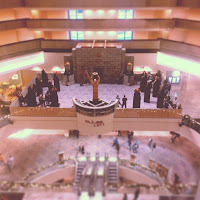 Images from this intriguing set at the Marriott Marquis hotel have surfaced online. 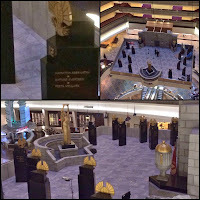 Those of you with good memories may remember Catching Fire filming at the same location last year. 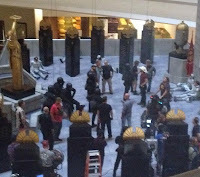 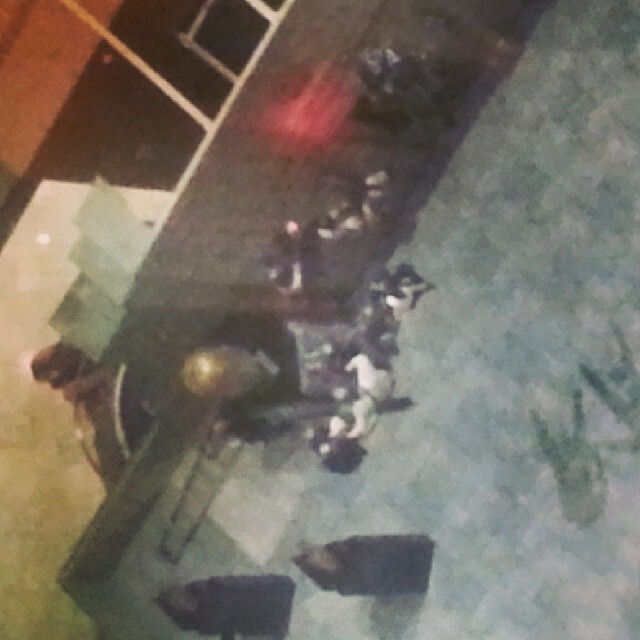 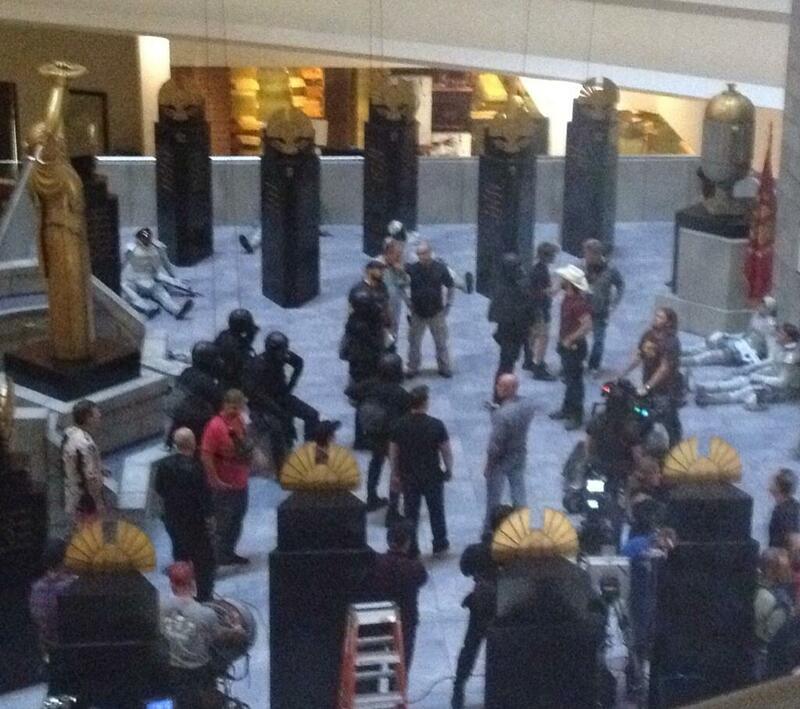 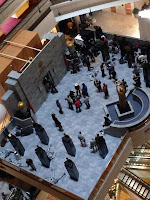 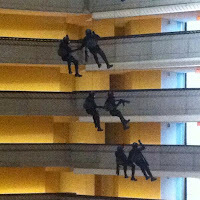 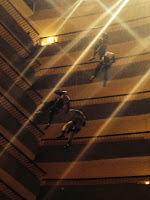 Various reports suggest that this scene could be the rebels sneaking into the Capitol to rescue Peeta and/or Johanna. 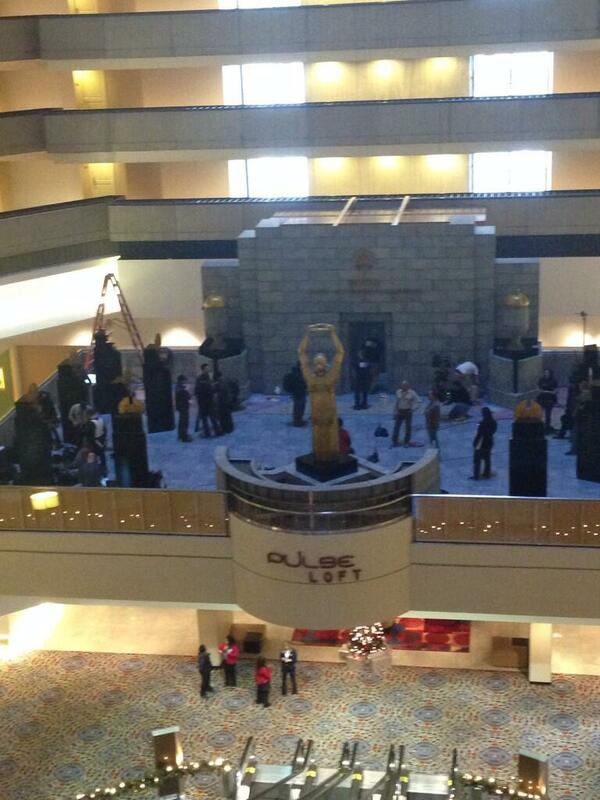 There may also be a wedding scene happening elsewhere.